Bingo VIP schemes are one of the most popular tools used by online bingo sites to draw in new customers – but they are also good at rewarding existing players. Any good company knows that in order to become successful, you need to learn how to keep your existing customers happy. VIP bingo sites know this and they often provide several levels of membership to keep their players coming back for more. VIP bingo provides exclusive rewards to loyal members. VIP bingo players get the chance to win exclusive prizes and higher jackpots. They also regularly receive free bonuses. Each site’s loyalty scheme is different. Some offer exclusive invitation only membership, while others automatically place each new member in its VIP scheme. The goal is to then work your way up to the higher levels. How can you work your way up? Working your way up the bingo loyalty ladder is actually pretty simple. All you need to do is play and deposit regularly. If you’re already on the bottom level, you’ll automatically start working your way through the levels as you hit certain deposit requirements. With the invitation only VIP loyalty scheme, you will need to catch the staff’s attention. This means spending a lot, playing a lot and taking part in chat games. With so many different bingo loyalty schemes out there, it can be difficult choosing one. There are a number of things you need to consider before you sign up. Firstly, you need to realise that there are numerous differences between the schemes. The amount of points you earn for playing games and spending money on the site will differ dramatically. The amount of points you need before they can be redeemed for real cash will also vary. Always compare as many different sites as possible to see how their VIP bingo schemes work. While it may be boring, it is also advised that you read through the terms and conditions of the loyalty scheme. Often there are hidden pieces of important information about the VIP program including wagering requirements and how rewards can be claimed. Without reading through them you won’t know exactly what you are signing up for. 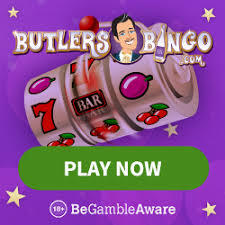 Overall, bingo VIP schemes are a fun and rewarding part of an online bingo site, but make sure that you have read all of the terms and conditions to find the best one.